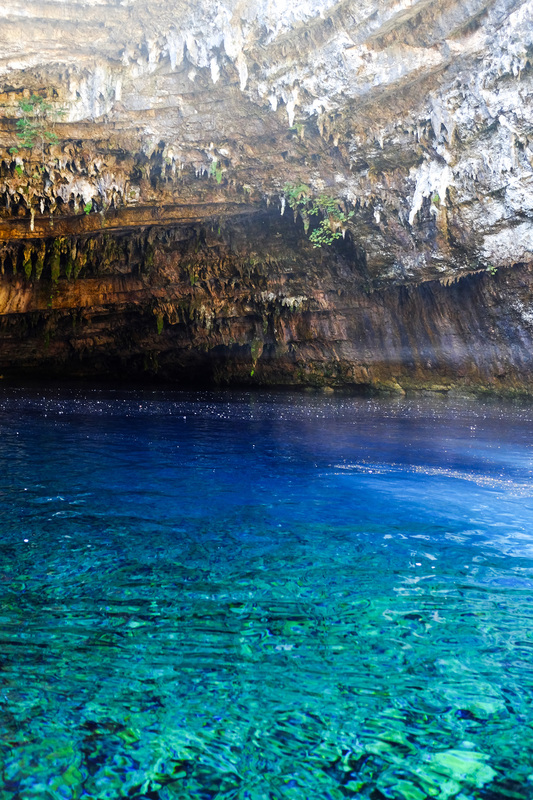 We’ve ventured into one of the most breathtaking natural wonders in the world. 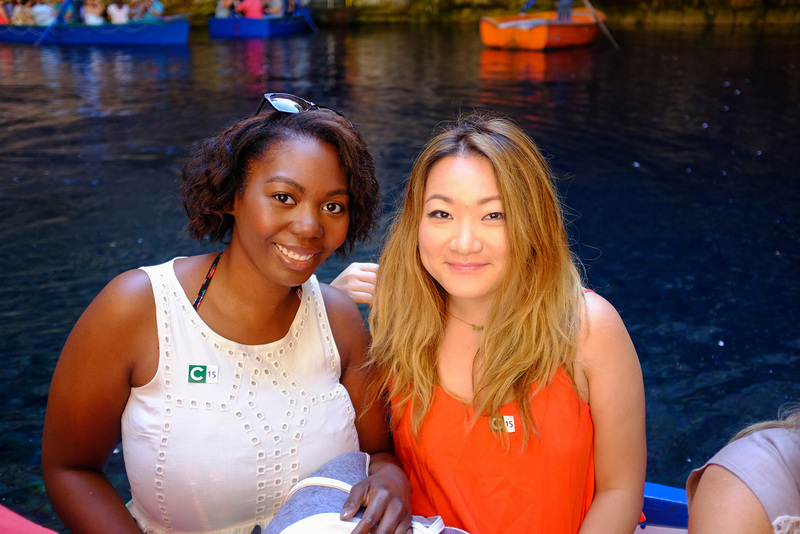 You may have heard it also called Melissani Lake and you may have seen the photos on Pinterest. But, nothing compares to actually being inside this mythical collapsed cave. I’ve never seen such clear water and in the most beautiful blue hue, ever. 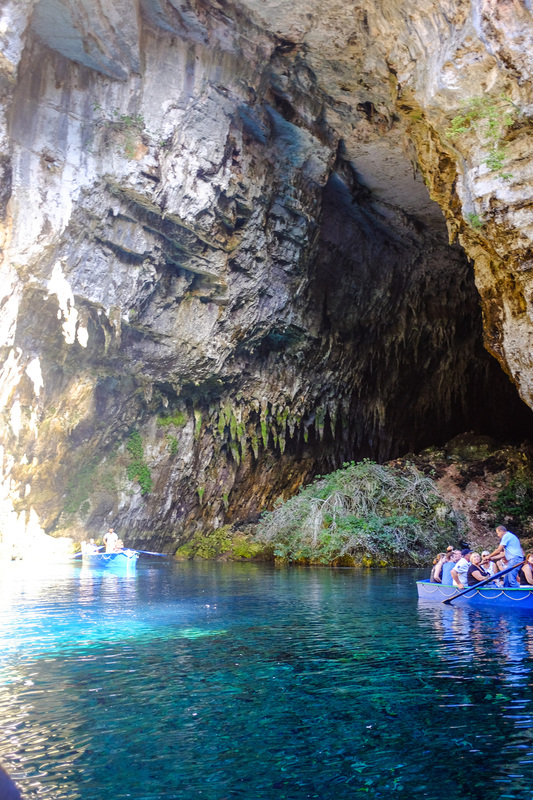 As we were rowed around the small cavern, I couldn’t wipe off the silly wonderment look on my face the entire time. The best part, was when our guy broke out in song at the end. The experience ended way too quickly, as this is a place I can spend a whole day taking in and exploring. It’s just that magnificent. I was able to dip my GoPro under the water as we rowed. You can look forward to that in an upcoming video diary! P.S. 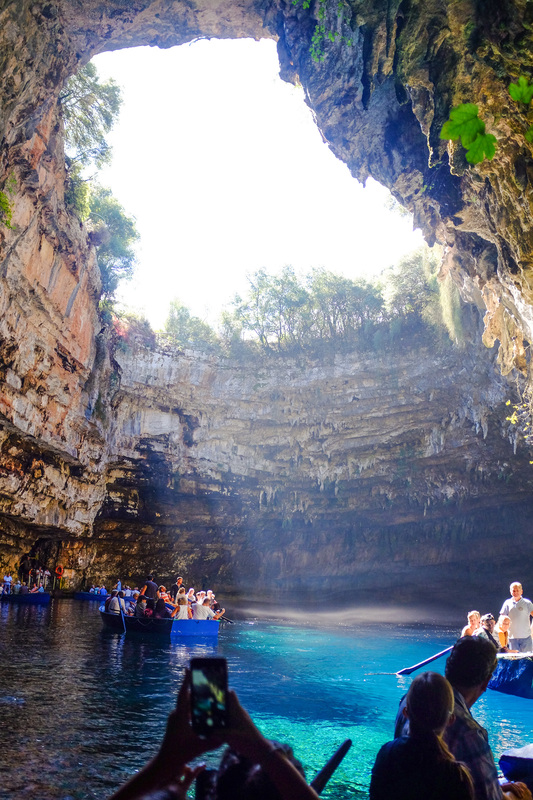 I was able to swim in another collapsed cave turned thermal lake spa on my first trip to Greece, read about that HERE. 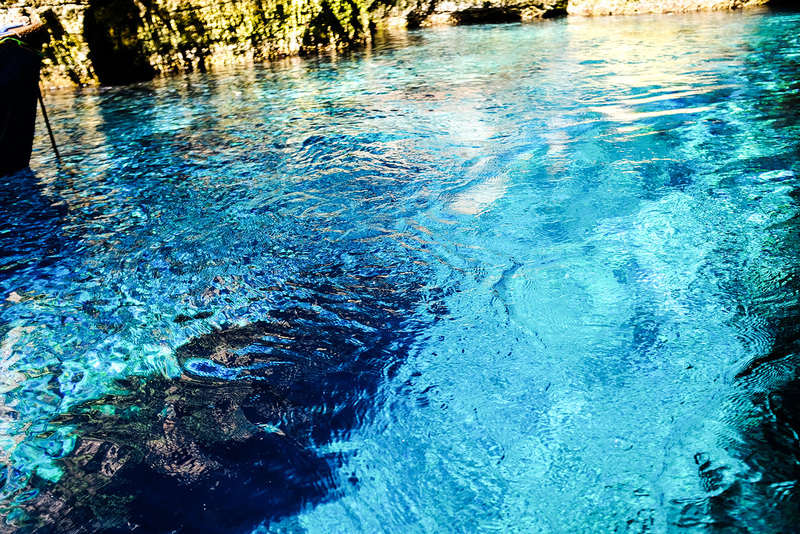 This looks so pretty, when my family and I went to Cyprus last year we went on a boat tour around the mermaid caves and I think that was one of my favourite parts of the trip, we got to go snorkelling and there were so many little fish and bits of coral, it was all breathtaking, I hope you enjoyed, I would love to go to Greece one day!